Last updated: August 28, 2017. 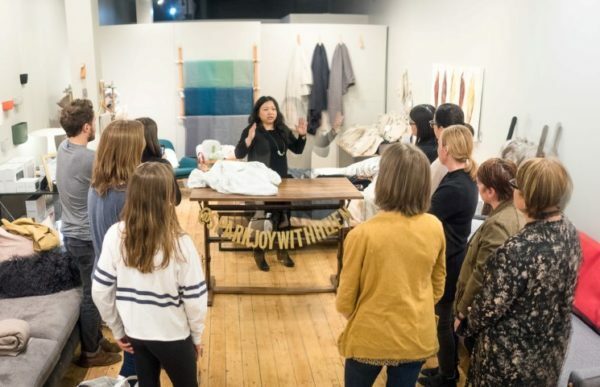 Helen Youn teaches a workshop on the KonMari tidying methods. 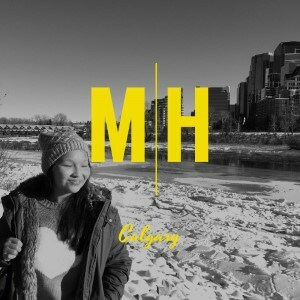 Catch Helen Youn’s tidying presentations at the upcoming Calgary Fall Home Show on the Urban Barn Main Stage on Friday, September 22 at 3 p.m. and Sunday, September 24 at 2 p.m.
Want to win a copy of Marie Kondo’s best-selling book The Life-Changing Magic of Tidying Up plus four admission tickets to see Helen speak at the Calgary Fall Home Show? Head over to my Instagram to enter! There are a lot of home and décor trends that come and go these days. But there is nothing like Marie Kondo’s organizational mantras that have transformed how people want to clean and tidy their homes all around the world. 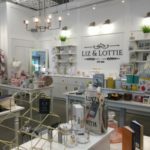 You may have heard it – it’s all about finding “joy” in the items we do keep. Helen Youn was one of those people inspired by Kondo’s message of editing, organization and joy. 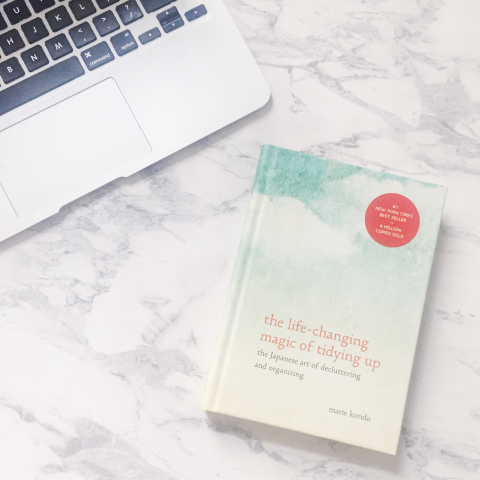 After reading Kondo’s best-selling book, The Life-Changing Magic of Tidying Up, Helen decided to help others bring serenity into their homes by becoming the first and only KonMari certified consultant in Calgary and the Prairies. So how does this busy working mom keep her house and home inspired and clean? 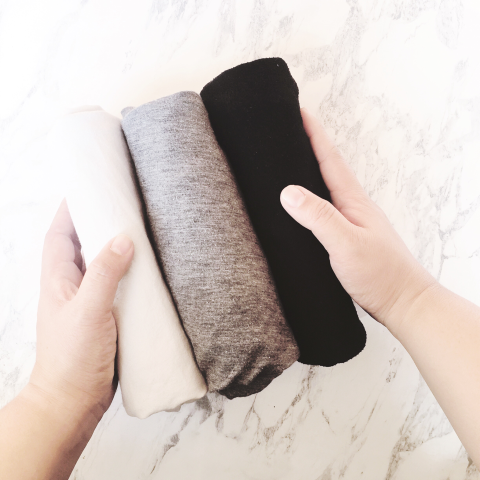 I chat with Helen about her tidying tips and how the KonMari methods can help. People have come to accumulate a lot of “stuff” in their lives. Why is it important to declutter and organize your stuff? Helen: I believe our home and the environment we live in affects every aspect of our lives. I have clients that tell me they sleep better at night after their bedrooms are tidy. If your mind is constantly thinking about pending chores, that will affect how you sleep. And if a cluttered and disorganized room is the first thing you see when you wake up, that is not a joyful way to start the day. In my opinion, the KonMari process is not just about having a tidy home. It is also about living your ideal lifestyle once you tidy up your space. I see the tidying process as a way to get to know yourself better and find out what truly sparks joy for you. Marie Kondo says: “The question of what you want to own is actually the question of how you want to live your life.” For many people, and myself included, they discover what they want to do after tidying up their home. The book that changed Helen’s life and career. 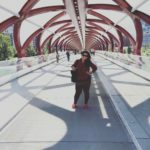 How did you become a certified KonMari method consultant? 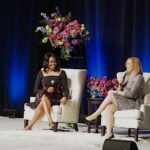 Helen: When the opportunity came up to train with Marie Kondo and her team to become a consultant, I felt compelled to sign up immediately even though I didn’t know what to expect. The KonMari Consultant certification is a 7 step process. Before you can sign up for the seminar, you have to first read Marie Kondo’s books and then finish tidying up your own home. The seminar itself was over three days in the [United] States. Once I came home from the seminar, I started doing practice tidying sessions with clients and submitted reports for each of those sessions. I also submitted photos of my own home so they can verify it’s tidy. Once the photos and all the reports were approved, they sent me an exam to write and some additional work. The last step was signing a contract to officially become a certified KonMari Consultant. Why does the KonMari method work? 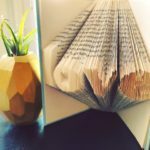 Helen: When you tidy with the KonMari method, you tidy in categories in a specific order: Clothing, Books, Paper, Komono (Miscellaneous items), and Sentimental Items. In this process, you hone your own sensitivity to what sparks joy starting with the easiest category progressing in difficulty. When it comes to selecting what to keep in the KonMari Method, the only rule is to ask yourself, ‘Does this spark joy?’ This really changed how I view items. I used to hang onto items just because I’ve had them for a long time or just in case I needed it again. I learned those ‘just in case’ and ‘just because’ items wasn’t contributing to my ideal lifestyle and was causing me more guilt and stress than joy. Organization is often thought of as more infrastructure like building shelves or getting storage drawers. Why does tidying in categories work differently or even better? Helen: People see organizing and decluttering as two separate events so they often go out and buy shelves and boxes without first decluttering. By putting everything neatly away on shelves and in boxes, it creates the illusion that the clutter problem has been solved. However, sooner or later, the clutter problem will rebound again once the shelves and boxes are full. I see decluttering and organizing both as part of the tidying process: first you declutter, then you organize. The reason why tidying in categories work better is because when you look at your things by category, you get a true sense of how much you really have in that category and it’s also easier to compare joy factor for items in the same category. When you tidy by room and not category, it’s easy to miss things or you end up just moving things from room to room. What’s one suggestion you have for someone looking to get started with their decluttering? Helen: Start by reading The Life-Changing Magic of Tidying Up by Marie Kondo. Trust the KonMari process and organize by category in its specific order. People don’t realize how difficult and emotional the tidying process can be. 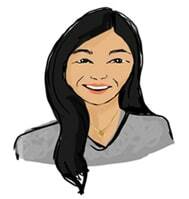 If you’re looking for Helen’s help to stay focused, motivated and get results, check out her website at www.helenyoun.com or reach her @sparkjoywithhelen on Instagram and Facebook.